Given the importance of safety for the aircraft industry, achieving maximum precision is essential for aerospace manufacturers. Needless to say, cost also plays a major role in determining priorities along the value chain. These two factors are not mutually exclusive however. As the leading supplier of factory automation solutions, FANUC has built its business on just this premise – creating solutions that deliver the ultimate in repeatable precision and accuracy while driving down costs. Ranging from incredibly reliable high-precision CNCs capable of running highly sophisticated multi-axis machines, to machining centres, wire cut EDMs, injection moulding machines and lasers, FANUC manufactures a whole host of solutions that exactly meet this bill. 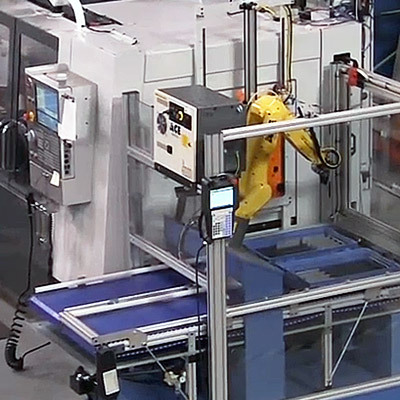 Likewise, to streamline manufacturing processes FANUC robots can be used throughout a production facility to accomplish an extremely diverse range of tasks. Equipped with vision systems and sensors these can also complete jobs requiring extremely high degrees of precision at very high work rates. Sophisticated Power Motion technology also enables the control of entire production lines, regardless of whether metal, plastics or even composite parts such as carbon fibre, prepregs or other resin components are being processed. Optimise your value chain right from the very start of the production process using FANUC front-of-line automation. Whether it's material preparation, positioning, thermo forming of parts with an injection moulding machine, tooling or anything else, to help you improve production processes and lower costs any number of aerospace industry processes can be automated. FANUC teach pendants make shop floor programming easy, significantly reducing setup times and shortening your turn arounds. Long the preserve of skilled manual workers, stringer settings on carbon fibres can now be automated. Read the FFT-EDAG case study for more details. Precision high-performance plastic parts such as PEEK components can be processed on FANUC Roboshot machines. The new iPendant Touch lets you program, control and adjust your manufacturing processes quickly and conveniently on the shop floor. Through its solutions FANUC strives to help you achieve maximum precision at every stage of the production process. Whether it’s parts positioning, riveting, drilling, machining complex workpieces or forging of heavy components, FANUC’s tailor-made solutions make it possible to automate even the most challenging operations to achieve outstanding accuracy. Ultimate reliability, consistency and cost effectiveness are at the heart of this. 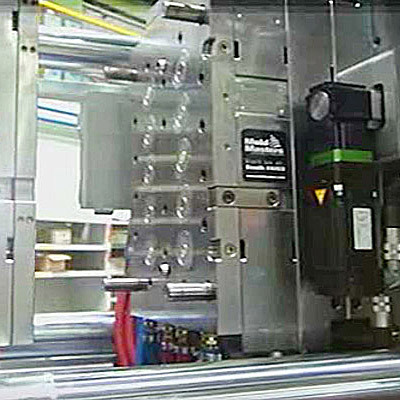 A FANUC CNC controls 17 axes on two R-2000 robots. These pick up parallel stringers, align them, flip them over and place them with millimetre precision inside the mould. CNC machines are used to machine aluminium frames which hold up aircraft bodies. High precision heavy payload robots are ideally suited to positioning rivet heads during aerospace assembly processes. 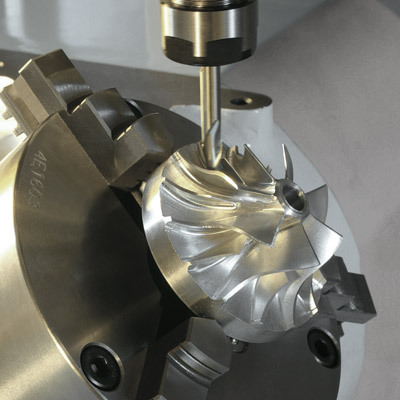 FANUC ROBODRILL machining centres provide the 5-axis precision required to produce most aerospace components. For more demanding applications, FANUC CNC systems are capable of controlling an almost unlimited number of axes. Complete manufacturing systems can be controlled with FANUC CNC and Power Motion, integrating purpose built motors and drives. Fully automated forging of gas turbine compressor aerofoils, from billet to finished forging, is supported by FANUC robots. Robot solutions provide the dexterity needed to place, position and glue high-tech aerospace materials to an incredible degree of accuracy. FANUC robots are equipped with IP67K protection as standard. Multiple models can be upgraded with severe dust and liquid protection to guarantee maximum reliability in hot, wet or cold environments. Great savings can be made by automating parts transfer, picking, placing, sorting, machine tending and testing. Automating these processes not only enables you to optimise your production processes but also to react flexibly to new developments, thus staying ahead of the competition. This can be further enhanced by the use of smart visual recognition technology and sensor systems. Versatile tending, handling and transfer operations can be carried out by FANUC industrial robots capable of lifting payloads up to 1300 kg. The robot takes a raw workpiece from the rack and, with the doors controlled by the robot, places it in the first chuck. Aluminum parts are fixed in an arc around the machine. The fixture system, which is operated by a very flexible open FANUC control system, can also be modified for the production of other parts. Automating the end of your production line not only offers cost benefits but resolves health and safety issues since workers no longer need to lift heavy and potentially dangerous parts. Likewise, wrapping, labelling, packing and palletising all involve strenuous and repetitive manual work that can be easily done more effectively by automated systems. 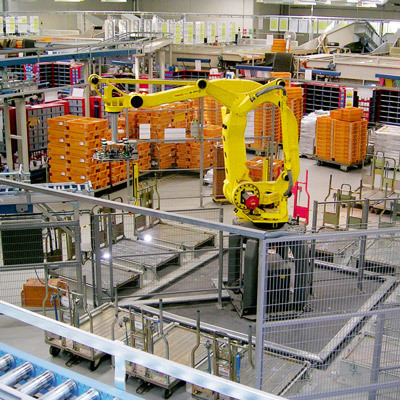 The first company in the world to build a dedicated palletising robot, FANUC produces a range of robots to meet aerospace industry palletising needs. Paul Nelissen: "Once set, the robot does its work; it is never sick or tired, works on weekends and if the automation process is restarted, the operator moves to what is essentially his job: programming and setting the CNC machine." Read the full Nelissen story. 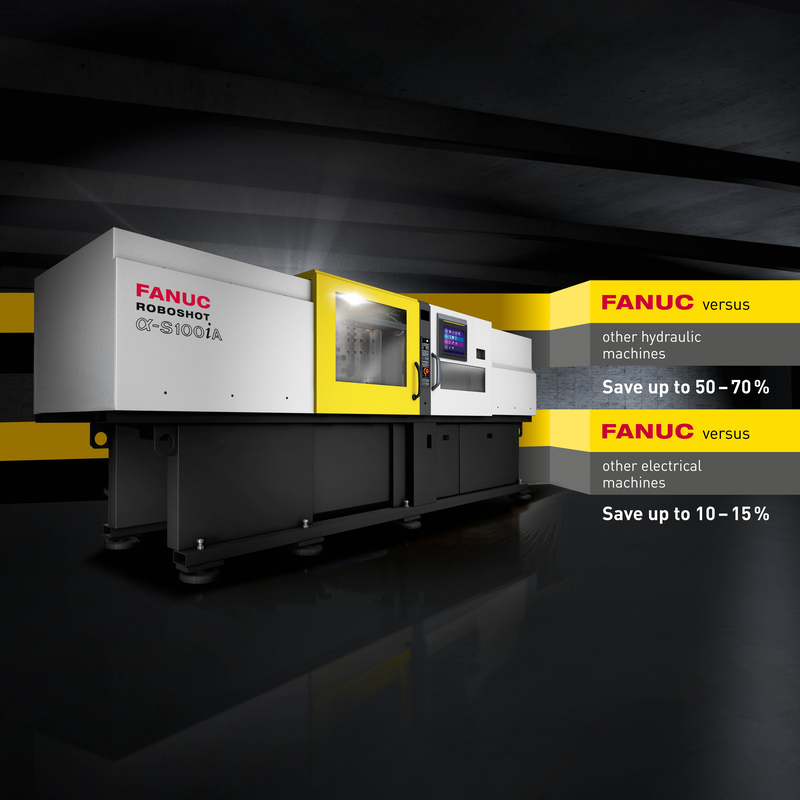 FANUC products, machines and CNC systems are purpose built to save energy and keep your operating costs to a minimum.